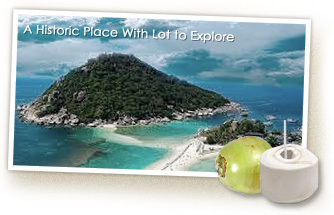 Koh Tao is one of the gems of South East Asia. 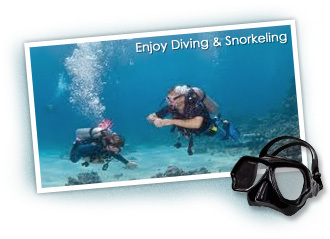 Whilst remaining an absolute paradise, the island is widely recognized as one of the top dive education centers, the clear, tranquil waters offer an ideal location for relaxing and learning to dive. Initially, there was only the occasional fisherman from neighbouring islands seeking shelter from a storm. On June 18, 1899, His Majesty the King Chulalongkorn visited Koh Tao marking a huge boulder at Jor Por Ror Bay. This site is revered and respected, and marks the island as having been claimed under royal patronage. From 1933 until being abandoned in 1947 the island was used as a political prison. Later, the first pioneers began to arrive from neighbouring Koh Phangan, and began a very simple, tough life, harvesting coconuts, fishing and growing vegetables. The first travelers began to arrive in the early eighties and the island quickly became widely known as a paradise. Faster and larger boats began servicing the island and the islands reputation for natural beauty, marine life and coral reefs grew.